Visitor from Sarawak Energy Bhd. 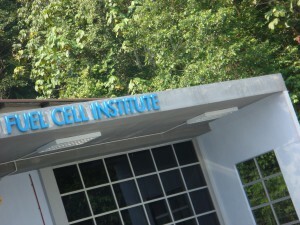 The establishment of Fuel Cell Institute (Institut Sel Fuel), the first research institute in Malaysia conducting research on fuel cell and hydrogen energy, was approved by the Ministry of Higher Education on the 1st of July 2006. The name of the Institute was initially Institute of Fuel Cell Technology (Institut Teknologi Sel Bahan Api). 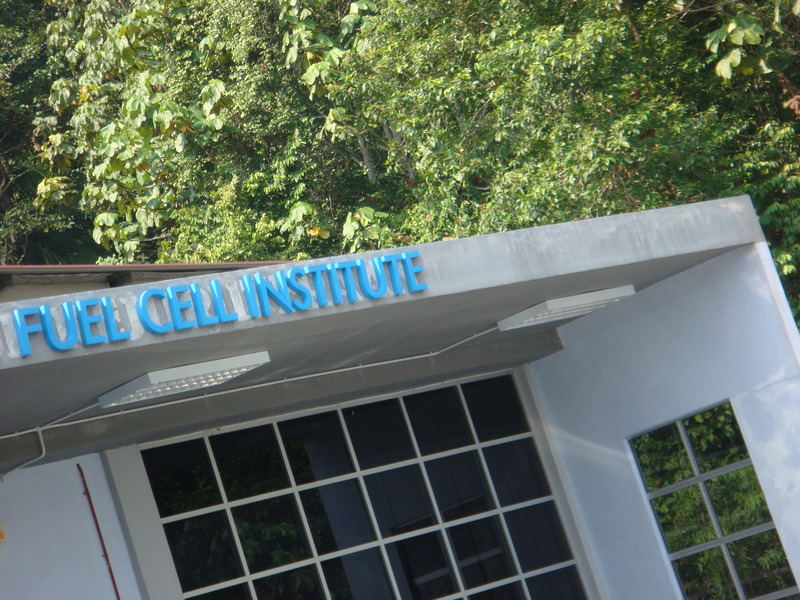 The new name Fuel Cell Institute (Institut Sel Fuel) was approved on 14th July 2007. The Institute began operation officially with the appointment of Prof. Ir. Dr. Hj. Wan Ramli Wan Daud as the founding Director by the Vice Chancellor of Universiti Kebangsaan Malaysia, Yg. Bhg. Prof. Dato’ Dr. Sharifah Hapsah Syed Hasan Sahabudin on the 1st of January 2007 for a three year term. 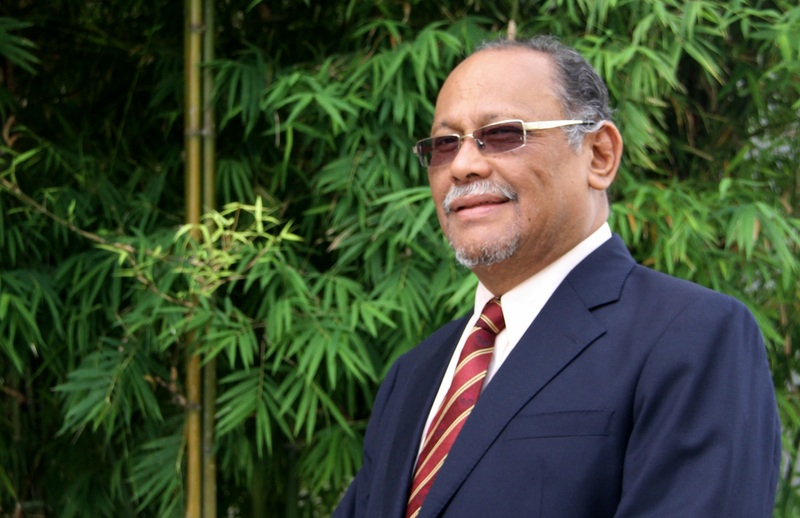 The appointment of Prof. Wan Ramli was in recognition of his extensive research in the fuel cell and hydrogen energy with more than 50 publications in indexed international journals. Prof. Wan Ramli was reappointed the director on the 1st of January 2010 for another two years. Prof. Dr. Hj. Jaafar Sahari was apppointed the Deputy Director of the Fuel Cell Instituite by the Vice Chancellor on the 15th of August 2007 for a three year term. The founding of this institute reflected the strength of fuel cell and hydrogen energy research in the Universiti Kebangsaan Malaysia. The founding of Fuel Cell Institute at the Universiti Kebangsaan Malaysia also reflected the strength of research and development in renewable energy at the University especially in solar energy, hydrogen energy and fuel cell. The idea to start research in fuel cell and hydrogen energy at UKM was mooted at a meeting between the Founding Director and researchers from Nuclear Agency Malaysia (then PUSPATI) and Tenaga Nasional in 1994. Research in fuel cell and hydrogen energy at UKM started with the construction of the first proton exchange membrane fuel cell in Malaysia made from Nafion membrane donated by Dupont (M) Sdn Berhad, carbon paper electrodes and perspex plates in 1995. The fuel cell and hydrogen energy group at UKM together with UTM went on to garner a RM 4 million grant from IRPA funds during the 7th Malaysia Plan at the Ministry of Science, Technology & Innovation Environment (then MOSTE) shared equally between UKM and UTM. The group was given a grant of RM 30 million from the PR-IRPA funds during the 8th Malaysia Plan from MOSTI with RM 16 million at UKM. During the 9th Malaysia Plan the Institute was granted a total of RM 8.27 million from various funds such as the Science Fund, Fundam,ental Research Grant Scheme (FRGS), Research University Grant (GUP) and Malaysian Toray Science Foundation (MTSF).